The seaside resort of Brighton is a rather welcoming district for visitors with its historical charms, vibrant culture, fun activities including enticing restaurants and interesting shopping areas. This South Coast is home to the famous Brighton pier that caters to many shops encouraging patrons to not leave without a hat and some other souvenirs. The people of Brighton are very friendly and caring and will be an added element to any time spent here. They do very well at engaging visitors and as a result, makes the learning process even more memorable. Wonderful adventures are afoot when exploring the city centre with narrow streets and hidden gems; an encouraging curiosity for art and beauty will come alive for students. North Laine is a popular stop for visitors as it carries an interesting set of people, with almost everything on sale. On the journey of discovery, there will always be some time for slowing down to get a quick bite and a cup of coffee. To experiment with the cuisine many restaurants will be at your disposal, you are bound to find something that makes an impression. This area is so strategically placed because It is very easy to take trips to the capital, London via train, ferry, bus or car. For students that may be travelling from Europe, it will be rather convenient; London Gatwick airport is just 30 minutes from Brighton. There will never be a dull moment in and around this wonderful town. The adventure of driving yourself or taking the bus or ferry creates some additional sightseeing opportunities. 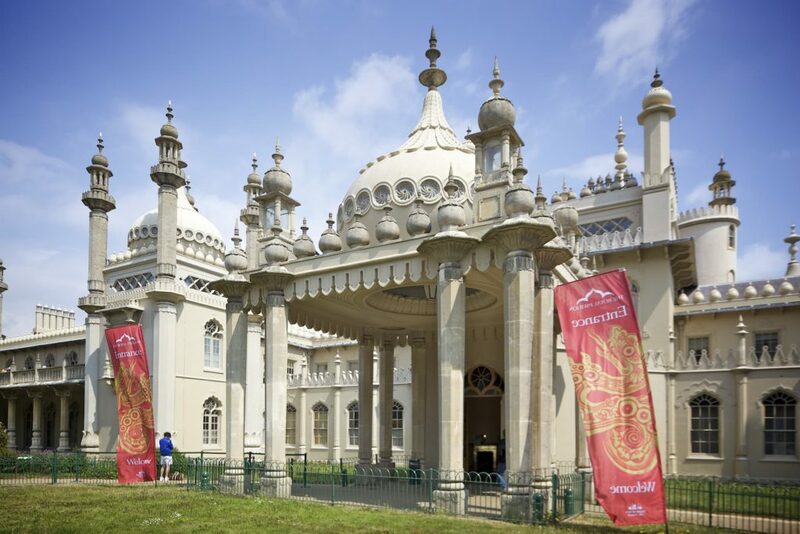 Taking advantage of travelling in and around Brighton will be worth your while. The environs are relatively serene without the hustle and bustle of excess traffic. Students can feel comfortable taking a few minutes’ walks to enjoy the outdoors and partake of the centres in Brighton. For those that enjoy cycling or long walks, taking advantage of South Downs National Park would be intriguing. It gives a 90-mile scenery of the coastline and students can use some worthy exercise in the process. Brighton English school fits perfectly among this wonderful mix for students to learn and enjoy everything around them. This English Language Centre has created well-accepted courses for international students. Homestay Brighton provides an ideal living and learning experience with very friendly families and tutors. A part of this experience comes with social programmes that are integrated for learning English, sporting activities such as football as well as specific tours and excursions. The host family provides a home away from home and a truly immersive environment for students. They are just as invested in students and making sure they have all that is needed for the best learning practice. This beautiful town is perfect to learn English for Short Stay Groups as Brighton is located in a true vacation spot. The coastline, friendly natives, shopping excursions and other activities describe a wonderful holiday spot. This will give an opportunity for groups to enjoy as much as they possibly can with little time. There will be a lot to try, see and explore! Students that are a part of the Summer School course get the added benefit of being a part of a nationality mix. They enjoy the experience to learn English in Brighton along with others of similar age groups for a duration of 2 – 3 weeks. This option ought to be enticing for parents as their children can have an awesome summer break while being exposed to an English course. Tutors take great care of children in their programmes and families can stay abreast of where they are and the activities they are allowed to participate in. This English Language school provides an array of well experienced and able administrators and tutors to produce respected results. Students that may be working on improving conversational skills or in exam preparation mode are well taken care of and encouraged when enrolled in the Brighton Language Centre. These homestay experiences make a special offer to those that require the best English courses in Brighton. Brighton Language college offers the premier English Language centre for adults and children alike. For groups of friends, children or a family vacation schedule, this is an ideal programme to consider. Course administrators will be more than happy to assist in answering all your questions and providing all the needed information to get started. Our doors are always open to providing memorable programmes and allowing students to create new and even lifelong relationships.